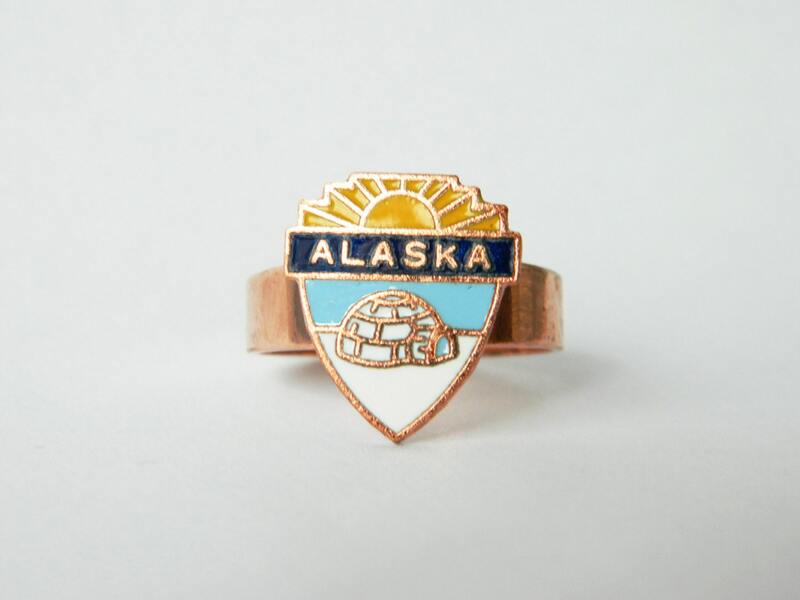 Vintage Rose Copper and Enamel Alaska Crest. 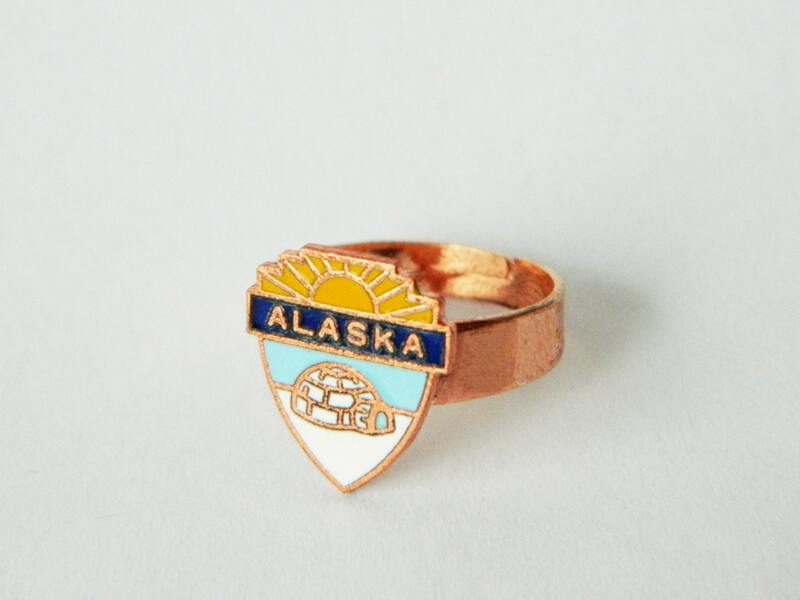 Crest Dimensions: 15mm H x 13mm W.
Crest Material: Copper and Enamel. Ring Size: Adjustable from size 6 to 9.